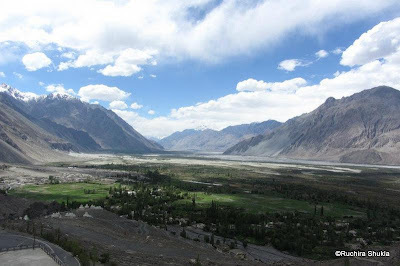 During my Ladakh trip, I was really excited about seeing the Nubra Valley. 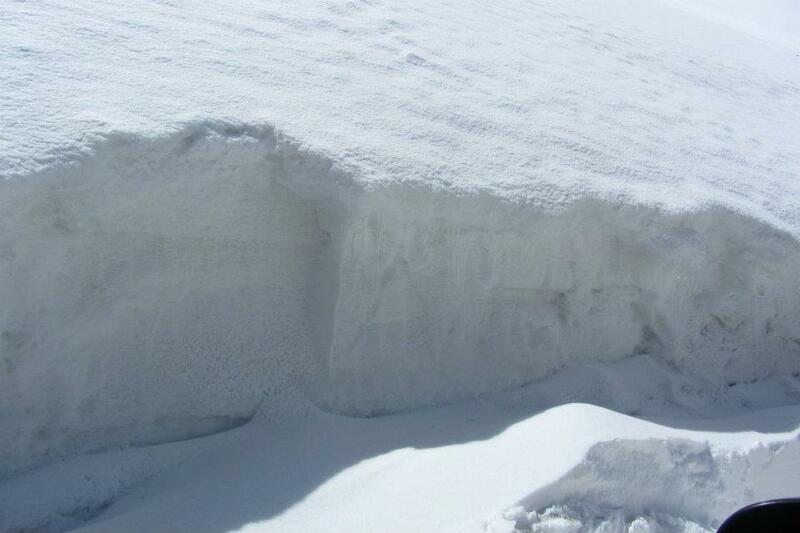 It is a high altitude cold Dessert and was once a part of the ancient Silk route. Nubra valley was undoubtedly beautiful, but what I had not accounted for was the sheer climatic and geographical diversity that I would see there. To reach Nubra Valley from Leh, One has to cross Khardung La - The highest Motorable road in the world. When we left Leh, the snow was still far away. And closer. Till the road was like a black snake slithering through masses of snow. With so much snow around us Siachen didn't seem too far away ! 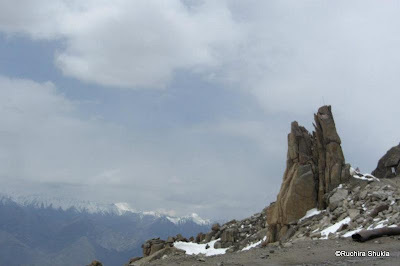 Finally we were at Khardung La ! And within a matter of 2 hours we were driving through sheer stone and barren land. 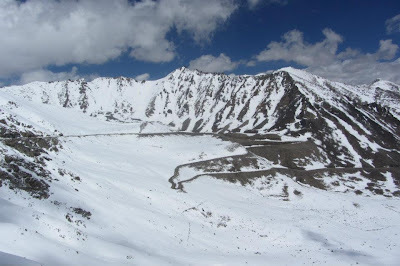 At Khardungla we were wearing every piece of woolen clothing we possessed and were still freezing. 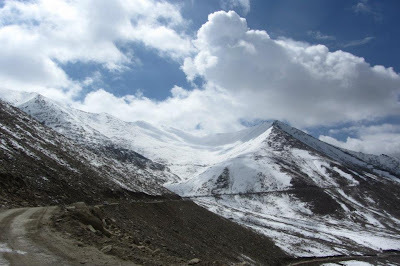 Now as we neared Nubra, the temperature rose steadily and were stripped off all our woolens till were just in our jeans and thin T shirts. 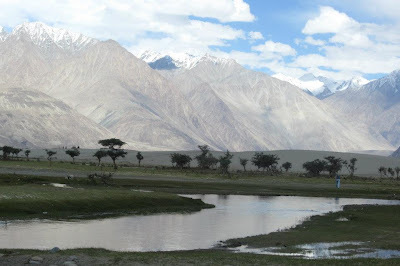 When we saw the Nubra Valley, we were in for another surprise! It was an oasis of Greenery in an otherwise dry and barren land. 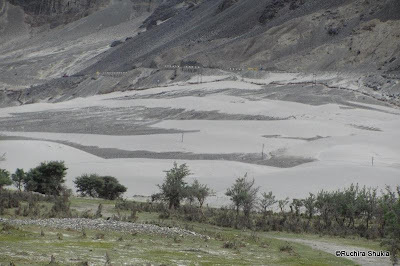 The valley is fed by the Shyok river and that is the reason why it is so green. We wanted to see the sand dunes the valley is famous for, and for that we had to drive till the Hundur village. 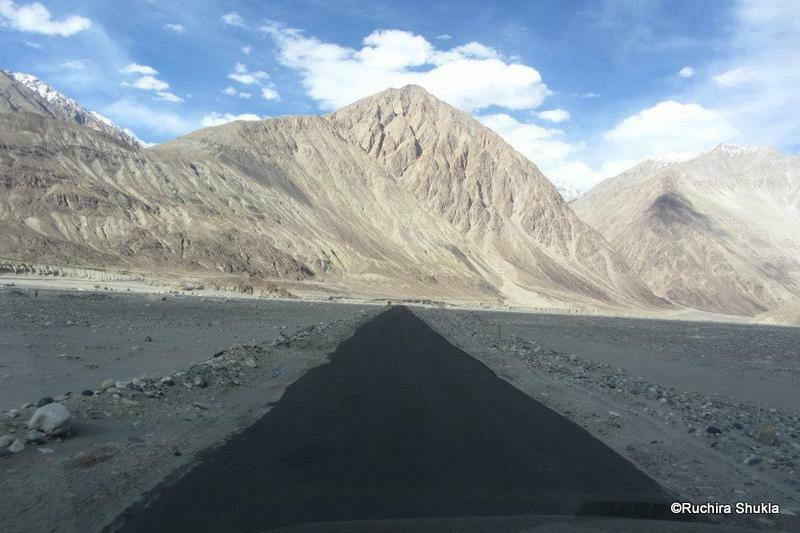 Driving over this long flat road surrounded by mountain ranges was an amazing experience. Sand Dunes at the Nubra Valley ! 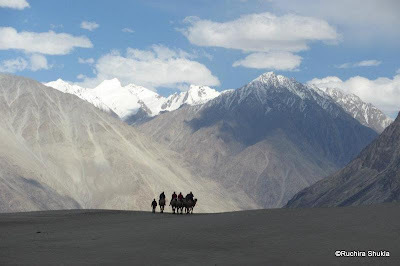 Nubra valley is also famous for the two humped Bactrian camels – One of the two places in the world where these camels are found. 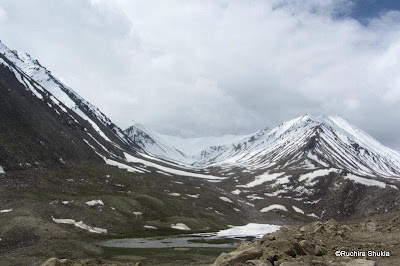 I have never ever seen such Climatic and Geographical diversity in my life.We had driven down from the highest motorable road in the world and in a matter of 3 Hours we had actually reached a place with camels and sand dunes - All behind a back drop of snow clad mountains. Wow, your pictures really tell a story - they are beautiful! You are intent to evoke Greenery growing all over me eh !!! Beautiful experience and wonderful pictures... ! 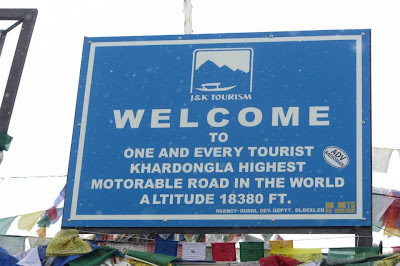 I have seen so many pics of this place... infact recently saw a movie The Way back.. where a few POW walk from Siberia to India and they cross the Lhasa Desert!!!! the landscape was pretty similar ! Glad you liked it ! 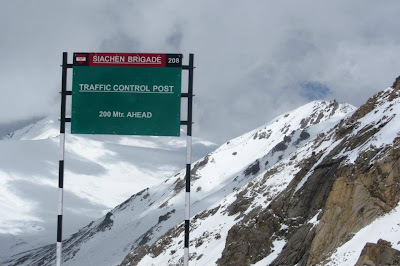 You must go to Ladakh now ! And looks like we missed something real good! Shilpa, Its worth a visit ! A lot of people were not impressed, but the sheer geographical diversity and the drive blew me away ! Yes, Ladakh is a must visit for any Nature/travel lover ! I am so enjoying your travelogues!! What a wonderful experience! Travel is always a wonderful experience ! Wow beautiful and stunning. Thanks for sharing. Yes . travel is always an eye opener ! Loved reading your take on Nubra. Wish more people would appreciate the essence of Nubra instead of dismissing it as another Dubai. People who dismiss it as another Dubai are should not be allowed inside Ladakh Piya ! Caught your "N" on the facebook post. glad you liked them. Welcome here ! Indeed Incredible. What more Can I Say !! I look at the incredible natural beauty around us and I am in awe of god ! I am not much of a traveller, but your photos and your stories make me want to go out there and see the world. You make us see the world through refreshed eyes. Thank you Cynthia. What a lovely compliment ! Quite breathtaking, your photoessay! 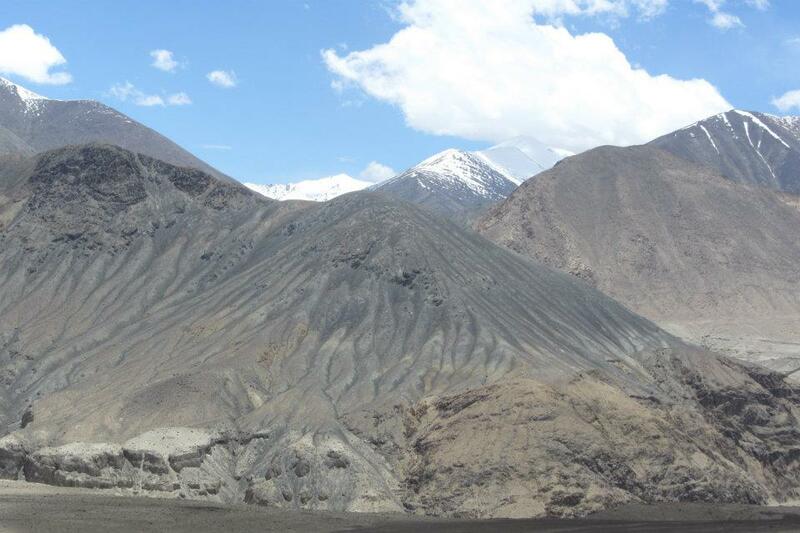 You should probably have an exhibition of your Ladakh pictures! That is quite an idea ! Incredible indeed. And you took us to O! So! Breathtaking tour to Nubra valley. Wow! Nubra valley is breathtaking ! Your blog NIRJHARINI is increasingly becoming popular because of your lucid presentation, attractive style of writing, the simplicity in depicting nature's beauty by proper choice of pics. I love to scan it daily. may be that I may not devote time to put comments on each post regularly, but I love every posting of yours. Thank you so much Mrinal Uncle. This is so motivating ! Fantastic post R! Took me back to my trip to Nubra in 2007. What's fantastic is the story of how there is sea-sand there. (Remember the soft sand in the desert?) 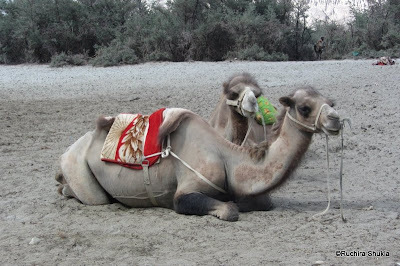 And the Bactrian camels. Did you manage to ride any of them? 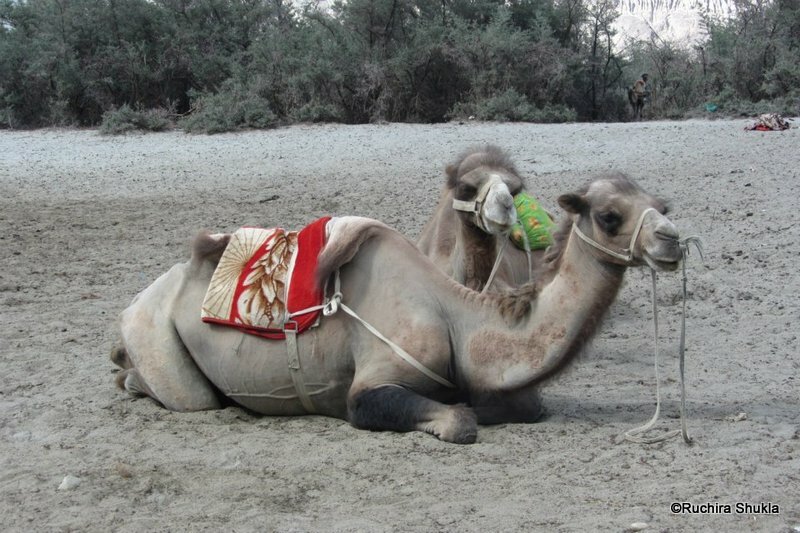 Yes I did ride them ..was an amazing experience to ride the camels towards the snow ! Such beautiful scenery! You're so fortunate to have been able to undertake such a wonderful adventure. Yes, I am really fortunate ! Its never too late ! you must go ! It just gets better and better, Ruchira. Ladakh here I come! Corinne ! Go Go !! and Ill travel again with you ! Ruchira! 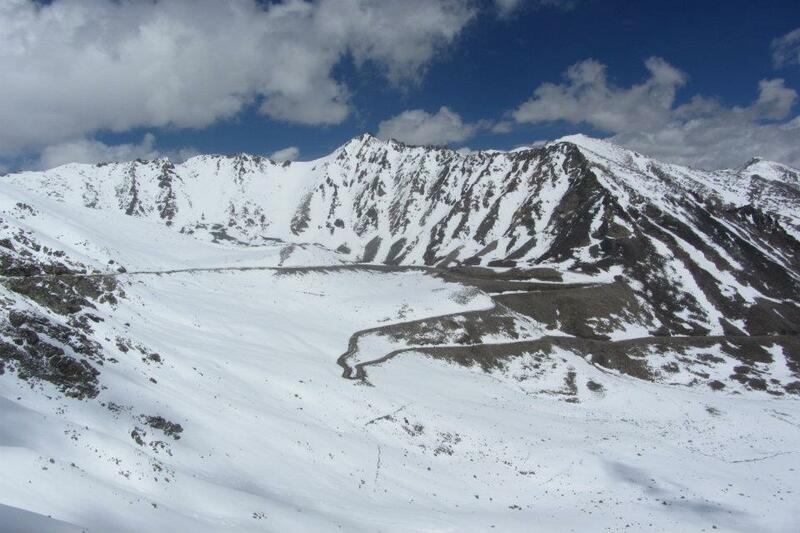 I have heard so many things about Ladakh, but not such incredible weather diversity. If you don't mind my asking, which one do you recommend - Ladakh with friends or Ladakh with spouse? Hmm.. 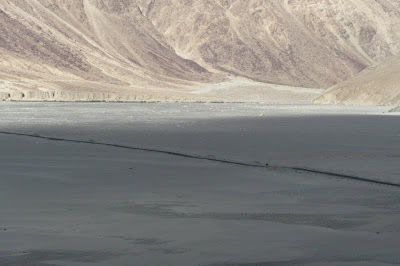 I dont really know since I don't have a spouse :P But I think one must only travel to Ladakh with someone who shares the same love for adventure and natural beauty ! The list of places to see gets longer every day :) lovely pictures and informative post. Thanks. I love your travelogues Ruchira. Ladakh is on my list,hope I can plan a trip soon.Fine camera work there too, Ruchira! Thank you ! Glad you enjoy them ! Wow! 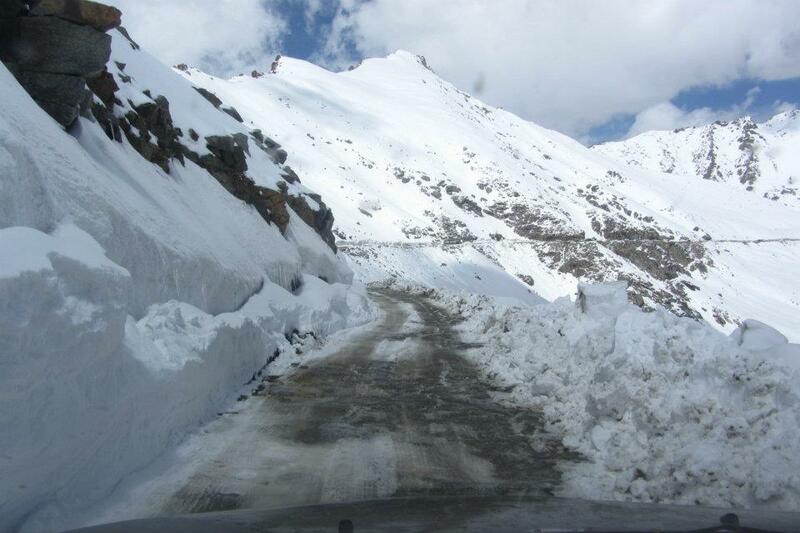 I am planning to go to Ladakh for a trip and these pics have made my resolve stronger. Brilliant camerawork. Wow.. Ladakh is there on my wishlist since ages! Simply fantastic ! Loved every picture, captured so well ! WOW, it was like going from one frame to another and the two are totally different. Beautiful shots. Wow! 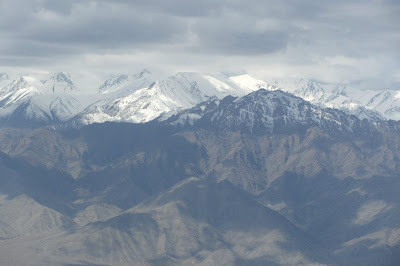 wonderful pics... Ladakh is in my bucketlist for so long. Its a must visit place!